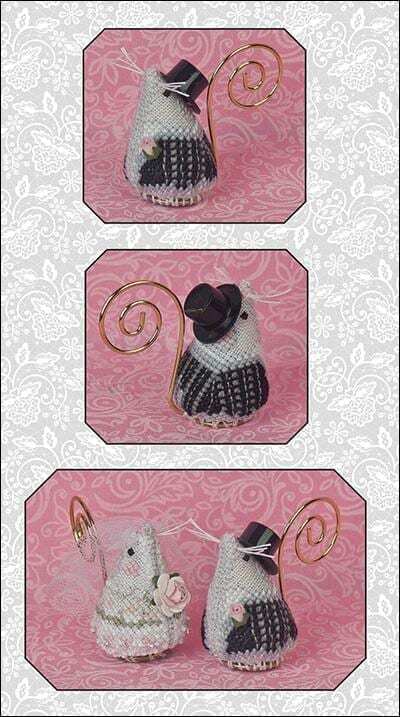 A limited edition pattern in her mouse series comes with the hanger tail, antique brass button for the base, top hat, and rosebud boutonniere. Shown on 32 count silvery moon linen. Design size is 29H x 57W.